Well, the word classy doesn't apply to Cardi B! 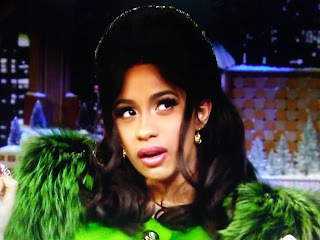 Cardi B has zero filter. The “Bodak Yellow” rapper couldn’t contain her excitement about attending the 2018 Grammy Awards Sunday night and told Giuliana Rancic, “I’m feeling good, I’m feeling nervous, overwhelmed—everything!